Friends, today I would like to talk about kindness. Did you know that National Random Act of Kindness Day is coming up? Well, it is! It's February 17th. If you are looking for the best random acts of kindness ideas, we have more than a few great ideas for you, below. I also want to share my own story with you today, about when I was recently on the receiving end of a random act of kindness. This past summer, my oldest son was injured pretty badly at Taekwondo. My husband wound up taking him to the ER, while I tended to our other three kids and waited. After they had been at the hospital for a while and they were waiting for the results, my son asked if I could bring him something to eat. I loaded all of the kids into the car, and swung through the drive-through. While I was sitting in line my thought process wasn't positive, friends. I was still very upset by how my son had been injured. All I could think was "what is happening to people?" and "what is happening to our country / world?" When I reached the window, and I went to pay our $30+ balance, the woman simply handed me a receipt and my money back. I was admittedly confused. She then went on to explain that a man that had went through the drive-through a few cars ahead of me, had left enough money to cover the balance of the 10+ cars behind him. While I had heard of people doing this, I had never experienced it first-hand. After I retrieved our food at the next window, I pulled over for a moment because I was overcome with emotion. I know. Yes, I was overcome by fast food. Think about it though. This was something so simple. A random kind act from a total stranger. This person didn't know who would be on the receiving-end of his gesture. He wasn't looking for thanks. He wasn't in it for the praise. He just did it, without expectation, and kept on with his day. He surely didn't know that I was sitting in line behind him questioning all that was wrong with the world at that very moment. He didn't know that this small act of kindness would leave a very large impact on my heart, but it did. What are the odds? This random act of kindness in a fast food drive-through (such an unlikely place!) has forever-changed the way that I think about certain things. It gave me a broader view and some much-needed perspective. I know, I know. I got all this from a spin through the drive-through? Really though, think about it. Aside from myself, every person going through that drive-through that day, had their own set of challenges that they were dealing with. Because folks, we're all dealing with something. Whether they're small mundane challenges or large mountainous problems. That's just life. So how much better would life be, if we all took the time and made small efforts each day, to be kinder to each other? It certainly couldn't hurt, right? It doesn't have to cost a ton either. Really! Spreading kindness doesn't have to cost a single penny. February 17th is National Random Acts of Kindness Day. This is such a perfect day to start making a conscious effort to be kind to others. Think outside of your own box for a few minutes. Think outside of your own set of challenges, and make someone else's day a bit brighter. 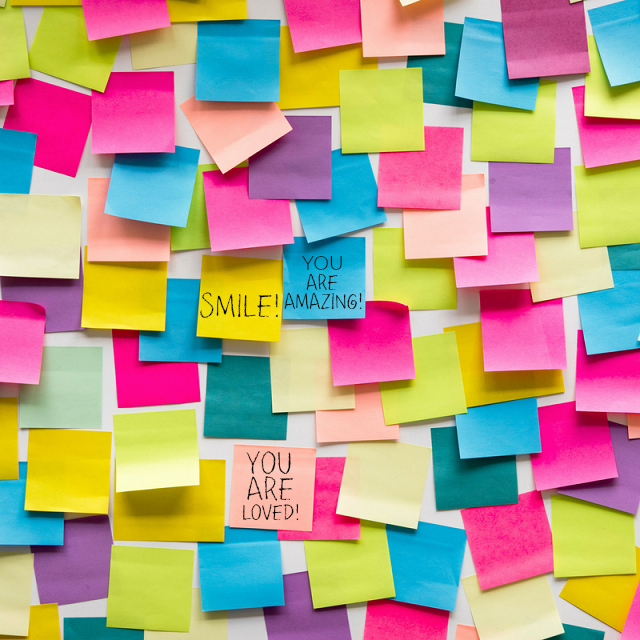 Read on for some simple ideas and ways that you can help spread kindness in your community. Not just on this one day but, EVERYDAY! Assemble blessing bags with toiletries, socks, and other small useful items for the homeless. Donate your time to your local food pantry / food kitchen. Leave money for the person behind you in line at the local coffee shop. 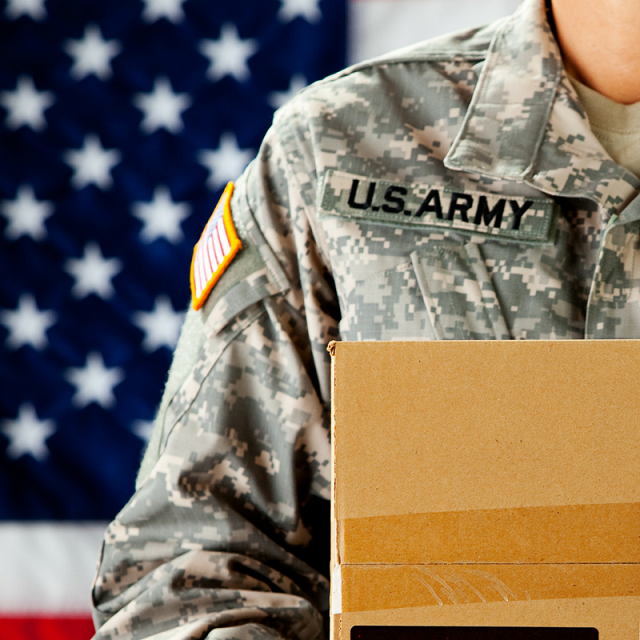 Send small care packages to soldiers overseas. Donate your gently used clothing to those in need. Give your umbrella to a stranger in a rainstorm. Paint kindness rocks with positive words of affirmation on them and hide them around town for strangers to stumble upon. Give "extras" to local charitable organizations / food pantries. Such as: small supply/goody kits for kids to decorate Easter eggs, small supply/goody kits for kids to bake and decorate holiday cookies etc. Assemble crafty busy bags for children at your local Children's Hospital. Include coloring books, crayons, markers, stickers etc. Leave some spare change on a wishing fountain. Put coins into someone's expired parking meter. Say "yes" to your kids more today or plan a day of "yes." Spend the day saying yes (within reason of course) instead of "maybe later" or "another day." Pick up an extra box or two of diapers / baby wipes and gift them to a local women's shelter or diaper bank. 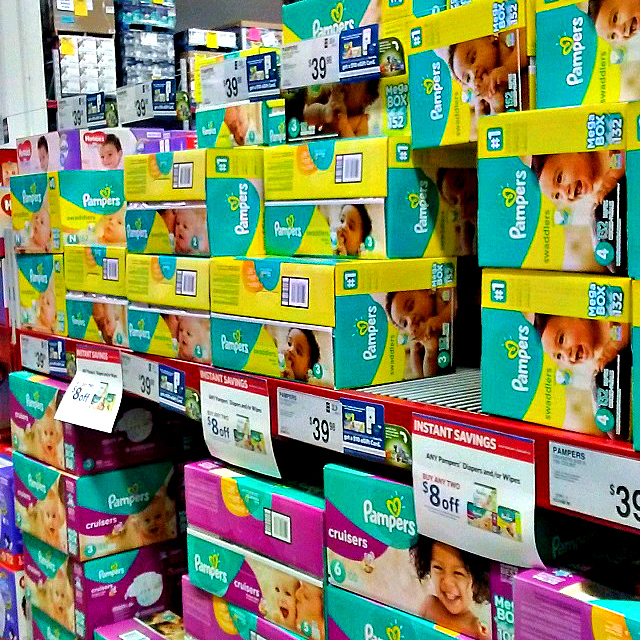 Right now, Sam's Club Members can get an instant savings of $8 off the purchase of 2 Pampers products. PLUS, members can also receive a $10 Sam's Club eGift card when they purchase $50 worth of Pampers. Call a friend or family member that you haven't talked to in a while. Make diaper changing emergency kits for new moms. Leave them at local mom meet-up groups, church etc. Include 1-2 Size N-1 diapers and a few wipes in resealable bags. Sleep deprivation can make you forget to bring even the fundamental basics sometimes when you head out and about with your little one. Moms, lets get real. we've all been there! I actually had to start leaving a kit of diapers and wipes in my car (along with a change of clothes etc. for the baby) after baby number 4 arrived. Because I always seemed to forget the diaper bag! Again, this can be a frugal way to spread some love when you use the Pampers deal that Sam's Club has going on right now! Send thank you cards to soldiers overseas. Because they deserve our thanks! Post positive notes of affirmation, randomly around town. For example, "This is just a reminder: YOU ARE AMAZING!" How will you show the love on February 17th? Will you #ShowLoveWithPampers to some of the Moms in your community? Don't forget to head in-club to grab this amazing deal on Pampers Swaddlers, Pampers Cruisers Diapers, and Pampers Sensitive Baby Wipes + Get a $10 eGift Card to Sam's Club, when you purchase $50 of Pampers products at Sam's Club. Kindness is indeed contagious friends ... pass it on! Let's incite a revolution of kindness together, this February 17th! Oh these are all such great ideas! I love doing little RAOK ...and my resolution this year...is to do more of them. Thanks for all the great ideas! What a great list of random acts of kindness. It's amazing how the smallest gesture, like smiling at someone or buying them a cup of coffee, can change their entire day. This has given me some ideas that I will try this year. A small gesture sometimes means the most.